TINDERBOX MUSIC FESTIVAL has donated 100% net proceeds to NYC-based organizations dedicated to empowering young women. Please check out more information about them below! 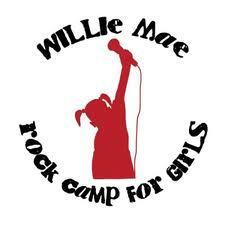 Willie Mae Rock Camp for Girls is a non-profit music and mentoring program that empowers girls and women through music education and activities that foster self-respect, leadership skills, creativity, critical thinking, and collaboration. Girls Write Now provides guidance, support, and opportunities for New York City’s underserved or at-risk high school girls, enabling them to develop their creative, independent voices, explore careers in professional writing, and learn how to make healthy choices in school, career, and life.